Don’t be scared by some of the more radical yoga positions.Don’t be scared by some of the more radical yoga positions. Everyone brings worthy advantages. Know why. The benefits of yoga are cried to the four winds. It is true that combining physical practice with meditation can be very demanding. 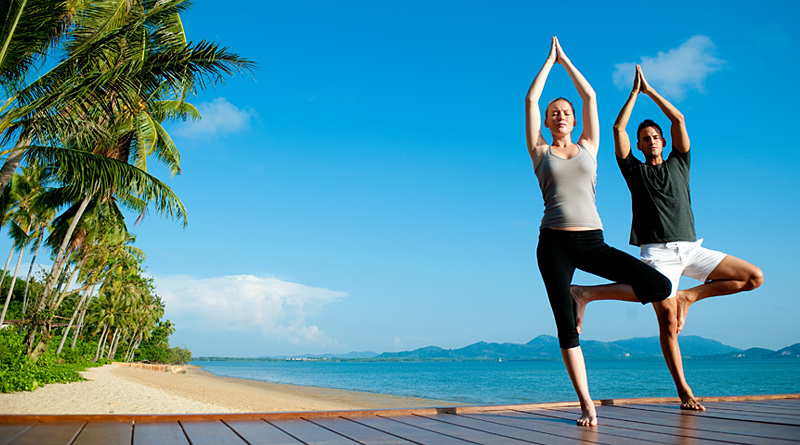 For sure you already have come across images of yoga postures that are anything but easy. Calm down and take a deep breath. Only the more experienced can perform more extreme positions. If you want to start practicing yoga, venture and believe that the postures of starter levels are perfectly within reach. Yoga positions for beginners are intended to increase the strength of the body and flexibility. The position of the mountain activates blood circulation to the vital organs. It is a posture that can be done standing or sitting. Stand up with both feet together and toes spread in order to distribute the weight of the body and legs with the contracted muscles. Shrink your stomach and slightly get down. Your shoulders should be thrown back and down and arms with palms facing forward. The top of the head must be in the direction of the ceiling and the face, looking ahead, forming the neck a straight line with the spine. Tree posture strengthens thighs, ankles and spine, it stretches the inner thighs, chest and shoulders, activates the balance and can reduce the pain of sciatica. Stand on your feet. Transfer the weight to one of the legs (at the end, repeat the whole exercise with the other leg), keep the plant of the foot firmly on the ground and place the sole of the opposite leg on the inner thigh. When balanced, join the palms in a prayer pose. Then lift your arms above your head, align it with your shoulders, and palms facing each other. Stay in this position for 30 seconds. It stretches the upper part of the body, strengthens arms, shoulders and back, the position of the Snake is one of the most important of yoga. Lie face down on a mat with your hands by your side. Bend your elbows and place your palms down and firmly on the ground, by your chest. Push your shoulders back and down. Start to lift the trunk off the floor while keeping the lower body well pressed against it. Pull the chin up and raise both the chest and neck to the ceiling. Hold this position for a few seconds. Shiatsu. Have you ever heard of this therapy?